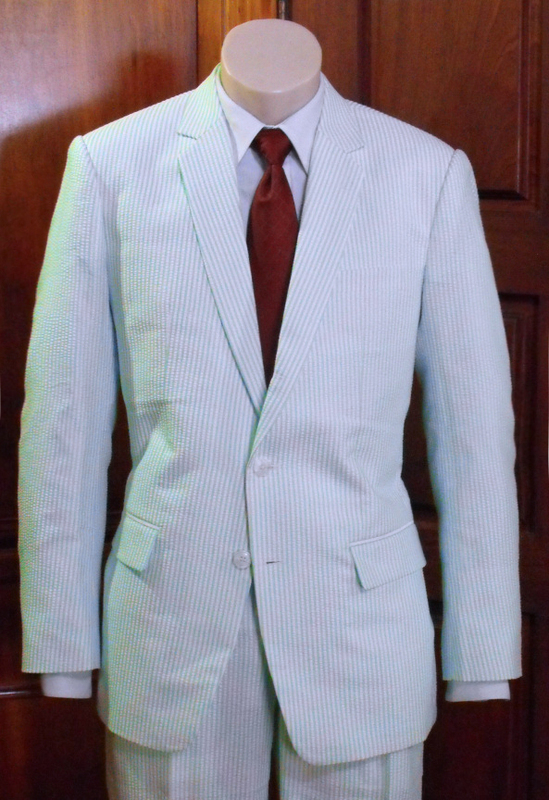 The quintessential summer garment for any gentleman is this two-piece, single breasted suit made of pure cotton seersucker. 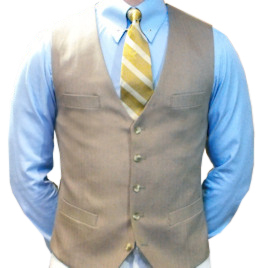 This special material has a thin, puckered stripe that causes the garment to sit away from the body allowing more airflow for a cool, comfortable feeling. 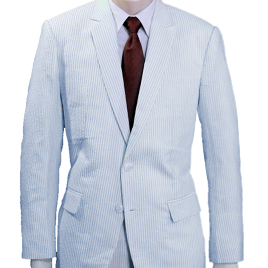 Shown here with a three-button closure, rolled to the second, notched lapels, double-rear vent with flat fronted and cuffed trousers, though we can make any suit in this fabric. 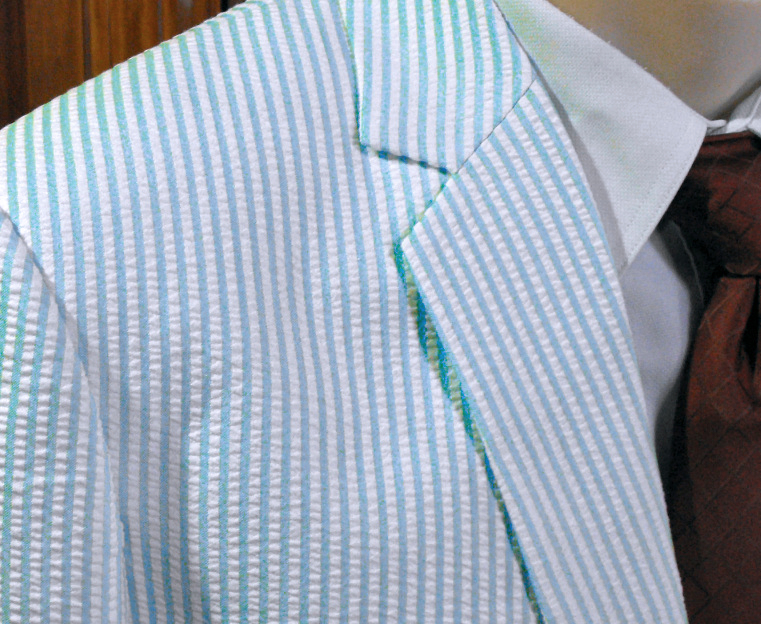 Shown with classic light blue stripes, other colors, such as pink, green and yellow, are available by special request.